Customer insights: Valuable features of the new Wohler A 450 Emissions Analyzer - Wohler USA Inc.
Here’s a look at the new Wohler A 450 combustion analyzer from the perspective of a valued customer. The new Wohler A 450 combustion analyzer is our smallest and rugged combustion analyzer available, and is loaded with features to make your job easier. Seasoned HVAC technician Paul Martino of Townsend Energy discusses his favorite features of the Wohler A 450 combustion analyzer, and how it compares to others on the market. Learn more about our newest analyzer here. Are You Ready for the Chimney Sweeping Season? 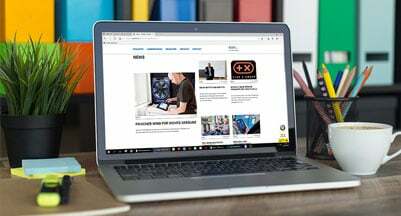 In our news and press archive you will find all product news, information on innovative technology, reports on exciting events and extensive technical reports from recent years.